The Defence Science and Technology Group (DST) has invited clever Australian companies and research groups to join a program to make unmanned systems more autonomous and reduce the number of human operators. That will be on display in the “Wizard of Aus” exercise at HMAS Creswell, Jervis Bay in November next year, to be conducted before an audience of Australian officials and representatives of the “five eyes” intelligence community – Australia, New Zealand, Canada, the US and the UK. The exercise will seek to demonstrate and evaluate the ability of an operator to control more than 10 autonomous vehicles and carry out a range of Intelligence Surveillance and Reconnaissance (ISR)-based military missions in a complex littoral environment. Wizard of Aus is being conducted through the “five eyes” Technical Co-operation Program, which launched the "Autonomy Strategic Challenge" in 2014 to demonstrate what was possible, using technologies from each nation to meet that challenge. The first big trial was the Unmanned Warrior 2016 exercise in the UK, which demonstrated significant advances in autonomy in mine counter-measures. That also showed the need for more platform autonomy and reduced human workload across all warfare areas to increase mission effectiveness and efficiency. 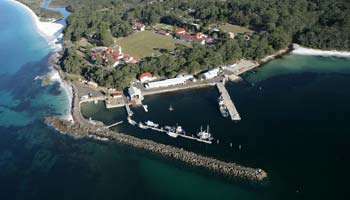 “In the spirit of Unmanned Warrior 2016, DST is leading the Autonomous Warrior 2018 activity in Jervis Bay to stand on the shoulders of the giant effort executed by the UK, and, with our partners, take autonomy to a whole new level across multiple warfare areas,” DST said. The Technical Co-operation Program Autonomy Strategic Challenge team has developed a command and control system to enable a single operator to control multiple autonomous vehicles. International partners will provide several autonomous vehicles for the trial but more are needed. “We invite Australian Industry to come forward with autonomous vehicles capable of sustained operation in air, sea-surface, sea-subsurface and land environments for co-ordinated control to meet several military use case scenarios,” Defence said. The three proposed scenarios involve protecting a group of moored warships, observing an illicit arms transfer at sea and supporting an army foot patrol. A budget of up to $1 million has been allocated for this trial. It’s open to Australian companies and publicly funded research organisations. Participating universities must be a party to the Defence Science Partnering (DSP) Deed to qualify.